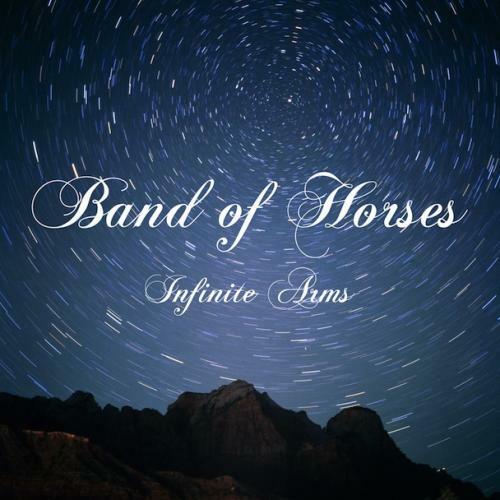 On Tuesday, May 18, Band of Horses released their third album, Infinite Arms. I was asked to review it for Deckfight, a blog that reviews Indie Rock and Literature with a southeastern flair. The review is kind of abstract but it was a lot of fun to write. You can read it here. A little over a month ago I put up a quick post about our gardens. They’re doing quite well: we’ve harvested all the lettuce and have one more round of arugula to pick; we’ve planted tomatoes (five kinds), zucchini, peppers, herbs, two kinds of cucumbers (and we have 20 finger-sized cucumbers on the vine right now) and more herbs than we know what to do with. 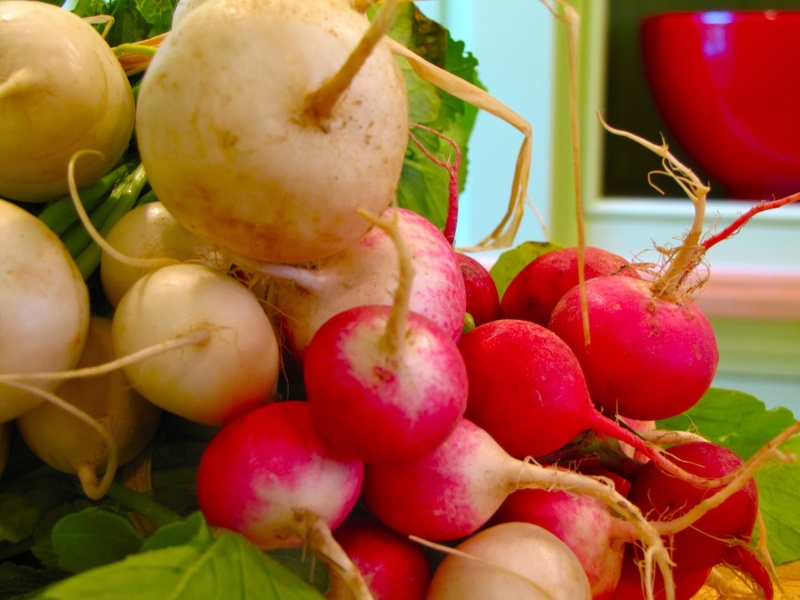 Even with all of our planting we don’t seem to have enough vegetables in the summer and it’s always one more trip to Harris Teeter for produce. This year we are participating in a Community Supported Agriculture (CSA) program with Copper Guinea Farms, a family farm in Atkinson, North Carolina, about an hour inland from Wilmington. Here in Wilmington we just wrapped up our spring Restaurant Week. From April 28 to May 5, local restaurants offered lunch and dinner specials and prix fixe menus. It’s a great opportunity to have some fine food, maybe revisit a place you haven’t visited in a while or do what Lauren and I did—try someplace new. 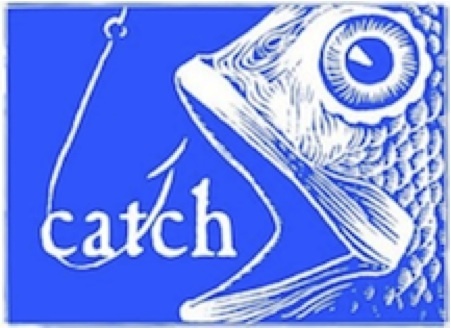 Several of our friends have been raving about what Chef-Owner Keith Rhodes is doing at Catch—making fantastic food using local farms and fish. 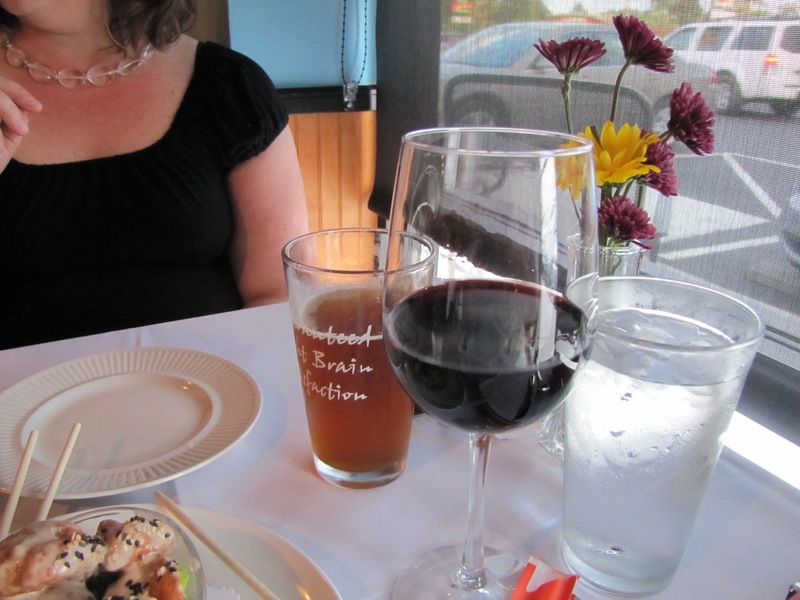 When Lauren and I saw Catch was offering a $30 prix fixe menu, we had to go. So we made the call and got a reservation. For all its hype, Catch’s location had me worried. It’s on Market Street; north Market Street. The section of Market Street that’s all car lots interspersed with tiny strip-malls and a few freestanding stores. But good food is good food no matter the location (try the shrimp trucks in Hale’iwa, Hawai’i). When we walked in, I forgot Catch was on Market Street at all. The bar was modern and well stocked. The simple dining room was cozy without being cramped. And the whole restaurant makes you feel as if you’re under the sea. Rich blue walls the color of the deep ocean, natural wood wainscoting and hardwood floors reminiscent of sand. The light fixtures reminded me of coral and cast shadows on the walls that looked like light playing on water. Crisp white tablecloths. A couple of flowers in a vase. The most surprising thing: no noise from Market Street, only the din of conversation and the click of forks on plates. Service came quickly after we were seated and we put in our drink and appetizer order: Lauren had White Wolf Golden Ale, I had a glass of 2001 Atteca Grenache and then the Firecracker Shrimp to share. The White Wolf Golden Ale is brewed in Farmville, NC and is very much a beer’s beer—golden and slightly hoppy, like an upscale Budweiser—Lauren thought it was passable, but wanted a Stella Artois or even a Blue Moon (which we were surprised weren’t available). I thought my Atteca Grenache was fantastic; very well balanced and reasonably priced. 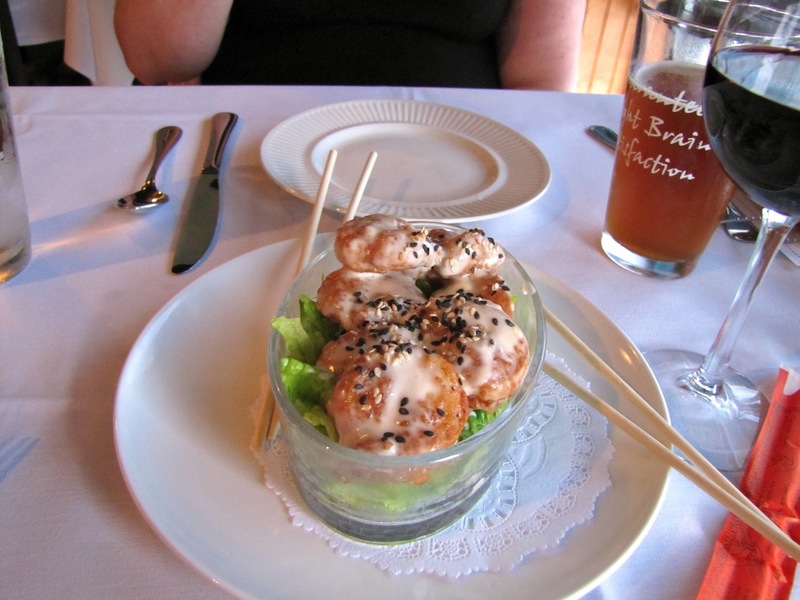 The Firecracker Shrimp were more like Lauren’s beer—lacking in some way.The shrimp were large, sweet and juicy; the breading light, just salty enough and very flavorful and the sherry-cream sauce was a nice finish. What the Firecracker Shrimp lacked was the heat and pop the name promised. Where was the chili? Not the lip-blistering, get-me-some-milk chili, but something. Some Texas Pete or maybe Sriracha. With the addition of a little hot bite, the Firecracker Shrimp would go from good to great. 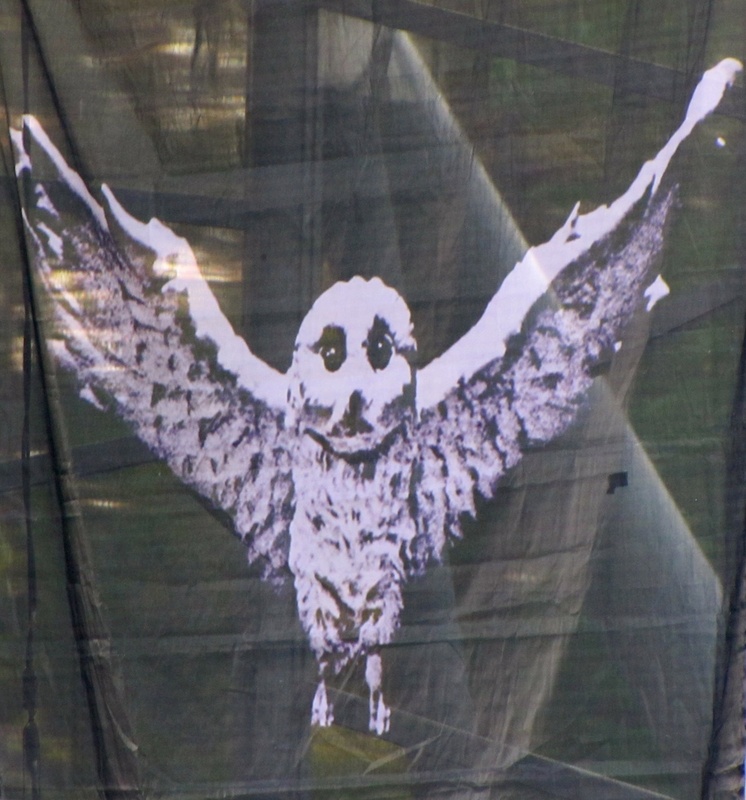 Lauren, Jay (her brother), and I went to see My Morning Jacket on April 30 at the Koka Booth Amphitheatre in Cary, N.C. They were joined by Preservation Hall Jazz Band and Jim James sat in on a couple of songs, singing through a megaphone. I have to admit, I'd love to be the front man of a band. You get to sing through a megaphone, wear holsters with cap pistols, own a cape and pretty much act like a lunatic and people love it. If I in my everyday life did any combination of these things, all of which Jim James did, people would say "That guy's crazy." I bet they say that about Jim James (whose name, by the way, is Yim Yames now, but I refuse to type it), but they add the caveat "But he's a rock star."